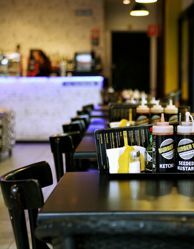 Burger10 recently launched home delivery within the area of Glebe, Sydney, and other neighbouring suburb through Suppertime (http://www.suppertime.com.au) a premium delivery service in Sydney that caters only the highest quality restaurant. 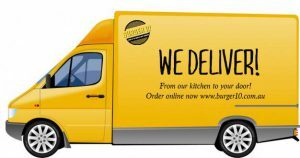 Since opening its door in early 2014, Burger10 is hoping to expand into different channel like home delivery and is expecting a moderate growth of business to begin with but believes in significant opportunities following the launch. “The new home delivery option makes it easy to order affordable, curated, high quality burgers straight to your home. Anyone can now get an amazing meal delivered during peak hours without waiting in line,” commented Sheryl B. Jaber Co-Founder and Marketing Director of Burger10. The logistics and delivery element of this new service is managed by its delivery partner Suppertime. Anyone can order online via Burger10 website or Suppertime. Suppertime was originally founded in 1985 as a courier service for restaurants and has since developed into Sydney’s only premium restaurant delivery service, employing over 30 staff.